Each year a dreary British winter has a ray of spring hope with the Celtic Connections Festival and the Transatlantic Sessions tour. The knock effect of these two twin events embedded north of the border is the sprinkling of touring artists who seek a few dates in the more southern locations of these isles. Obviously the Transatlantic project hits a number of English cities in force in February, while artists such as Cahalen Morrison and Eli West call at numerous venues on their trek to Glasgow’s melting pot of majestic music. 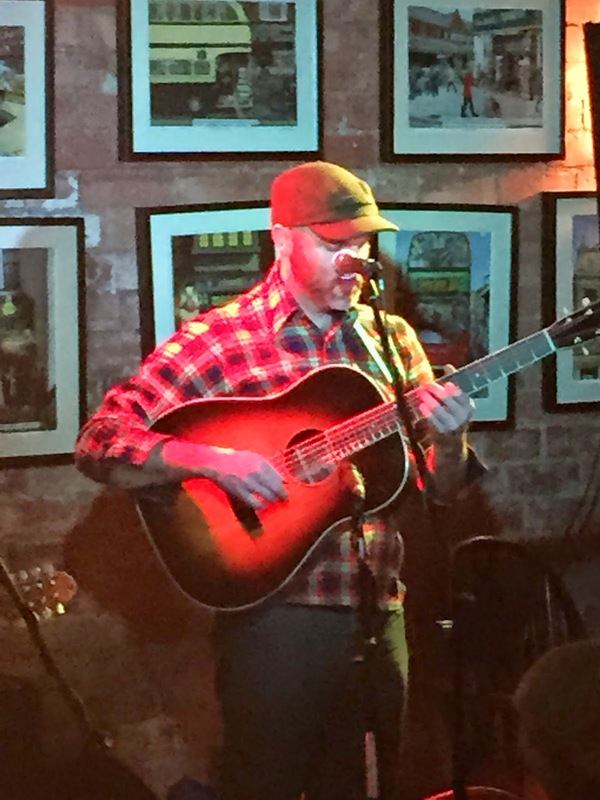 So for the first time, the duo hailing from America’s Pacific North West, found their way to the south Birmingham suburb of Kings Heath to showcase their talents to an anticipated Kitchen Garden Café audience. Cahalen and Eli have been attracting praise for a while now and it was good to embrace their brand of roots music close at hand. An unassuming and humble duo, the pair predominately let their songs and music do the preaching, or to be more precise the compulsive pickin', taking the sound of banjo, guitar and mandolin to all four corners of the café and beyond. 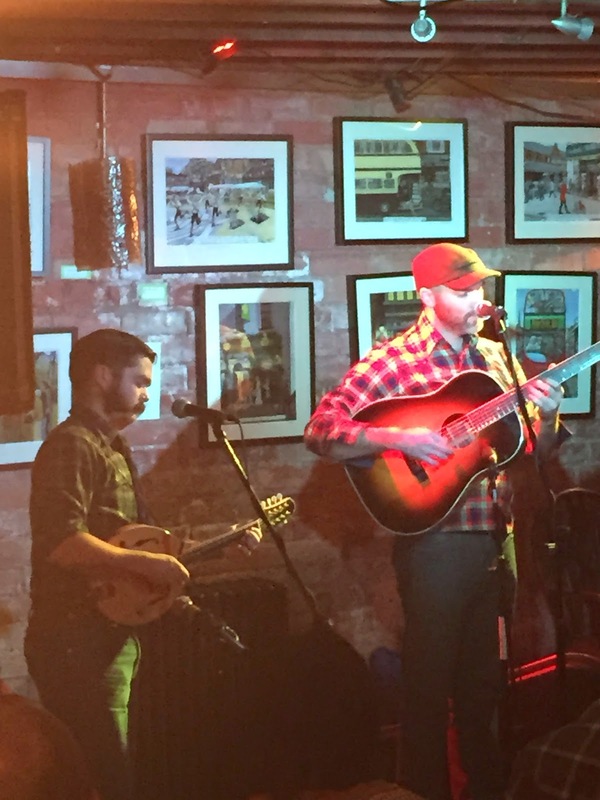 We have experienced, here in the UK, numerous examples of roots music flourishing from the states of Washington and Oregon, and whether exploring the depths of bluegrass, old time country or folk music, the pair enhanced this theory with their Birmingham debut. Following the standard format of a couple of 45 minute sets, the performance was based around the latest album which sees a rich seam of stunning instrumentals, cleverly curated covers and outstanding originals merge into a melange of masterly music. The twin standout numbers of the evening were the pick of each set, with the classic country sounding ‘Natural Thing to Do’ just edging ‘Pocket Full of Dust’ in the honours stakes. A couple of other tracks from this album, out last year and titled I’LL SWING MY HAMMER WITH BOTH MY HANDS , which impressed were ‘James is Out’ and the dual instrumental of ‘Ritzville / Steamboats on the Saskatchewan’. The striking duo had an impressive poise on stage. 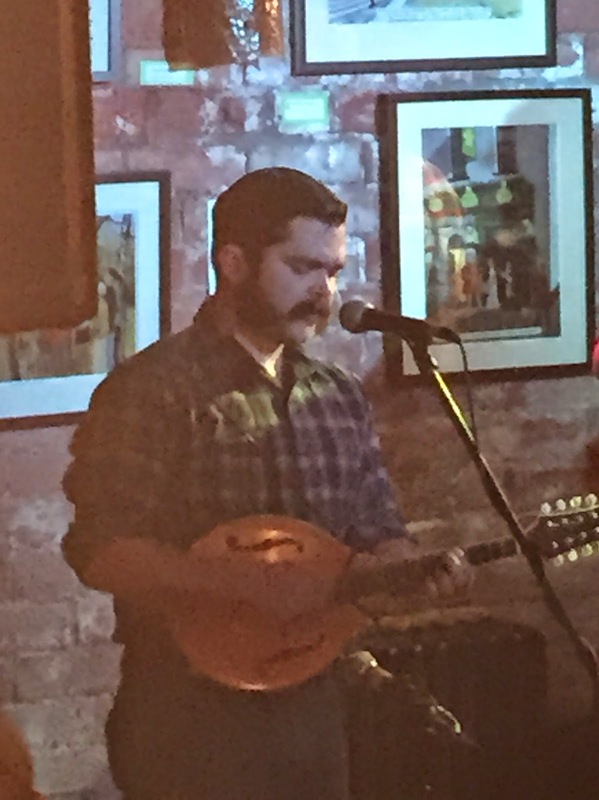 Eli with his more heightened stature held court all evening on acoustic guitar, while Cahalen swayed between playing banjo to open each set before switching to mandolin. Whether in harmony, duet or solo, their voices ached with the toil of rural old time music, a style seemingly to flow through their veins, heart, soul and spirit. Cahalen did pay respect to his south western desert upbringing with the song ‘Down in the Lonesome Draw’ which semi-autobiographically traced his gravitation north. Cahalen appeared to be the architect of most of the originals, although the pair was keen to represent the work of others right across the roots spectrum. Alongside the bluegrass standard ‘Kentucky Girl’, they also covered Norman Blake’s ‘Church St. Blues’, a song given a similar treatment by UK act The Carrivick Sisters at the very same venue a couple of years ago. The more contemporary folk sounds of Townes Van Zandt were celebrated in a version of ‘Bar Room Girl’, while ‘Voices of Evening’ by Hazel Dickens and Alice Gerrard graced the show’s final moments. 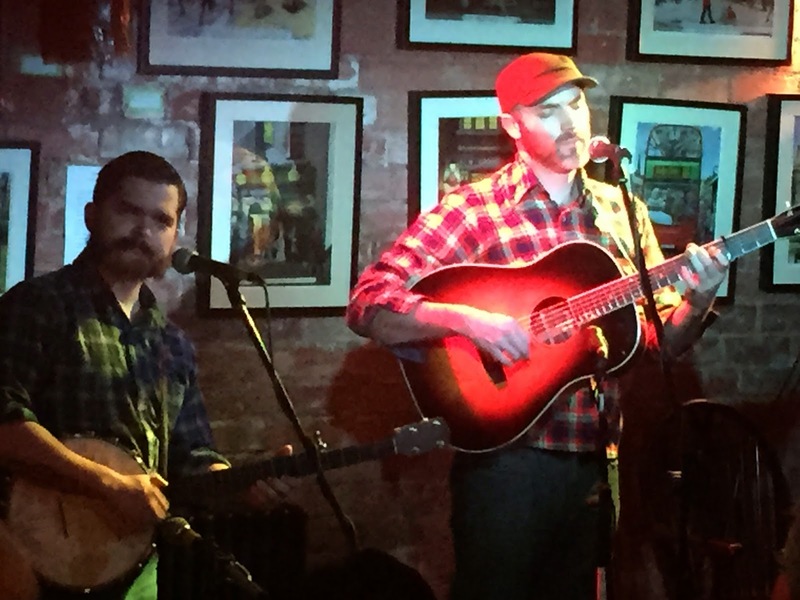 With all the charm of a brace of musicians dedicated to their musical passion, Calahen Morrison and Eli West bade farewell to some new found fans and thus headed north to seek more eager partisans of high class roots music. A couple of new songs, including one untitled, previewed a prosperous future for the duo and a number of UK return visits are planned starting with the Shetland Folk Festival in May. A duo once seen, heard, experienced and enjoyed but not forgotten is a celebratory parting message and worthy alongside a thanks for popping into Birmingham.